Isula is a fantasy name which recalls our beautiful island, Sardinia. It is a wine characterised by a brilliant and vivid red color. The scent is intense, with a hint of undergrowth and red fruits, and a dry and velvet taste. 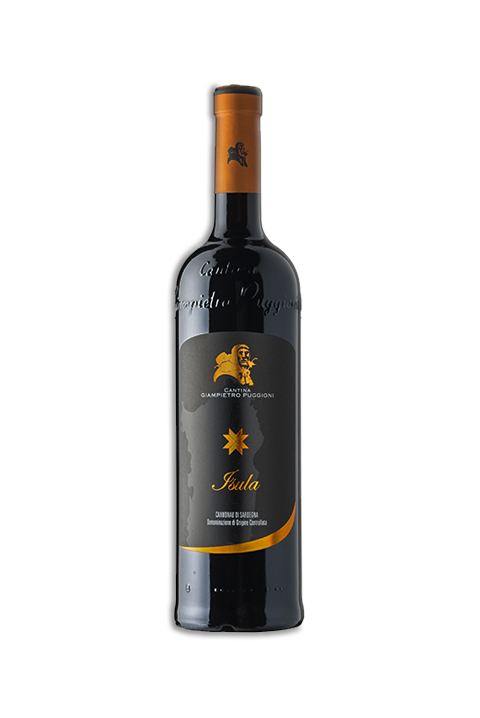 This wine is outstanting when associated with roasts and game meat, and it also tastes well with typical sardinian cheeses. Serving temperature is 16/18 C.
Ageing: in steel and wooden container. Scent: intense scent with a hint of undergrowth and red fruits. Taste: dry and velvet taste.